Manuel Xyrakis and the three generations of family who look after IGA Ainslie are passionate supporters of their local community. From sponsoring the neighbourhood footy club to prioritising local suppliers, the Xyrakis family story is one of loyalty and enduring connections with their beloved Ainslie.  Fredericks IGA has been at the heart of the local community for generations. It wasn’t until the store burnt to the ground in 2012, that everyone realised just how important the store was to the community. With the help of the locals they traded out of an empty art gallery, while Trevor Fredericks rebuilt it from the ashes. Julie Quinton is no ordinary supermarket owner. The untimely death of her husband saw her taking on the store, putting her stamp on it and taking the moral stance of removing all cage eggs from the shelves, making her the first known supermarket to do this. Lou Piccone is a household name in the tropical Far North. He’s as local as they come and has dedicated his life to serving his community. Lou never misses an opportunity to say G’day to everyone. Kerry and husband Shane moved to the small town of Penolain South Australia to open an IGA and raise her family. Here she tells of how kind locals rallied around her to bring hope & courage in the midst of a personal tragedy and how she now gives back to them. Dan Rigney, owner of IGA X-press Alexandra Hills reflects on how family has shaped him and why looking after his local community is so important. He tells us a heart warming story about the four locals that meet at his store every morning. Ian Ashcroft of Ashcroft’s Supa IGA in Orange shares his five secrets to living a happy, healthy, successful life. This story tells how he and his wife Rochelle are dedicated to making an impact on the community around them. Roz White, owner of White’s IGAs on the Sunshine Coast, shares her passion to support local suppliers and deliver the freshest local food to her stores. A farm girl herself, she knows what it takes to get farm fresh food onto the shelves.